SugarCRM has long been known as one of the most flexible CRM solutions in the market. However, when it comes to working out of the office, it is not that easy to enjoy the benefits of SugarCRM. Obviously, your customers won’t wait until you return to your desktop computer to check their accounts. 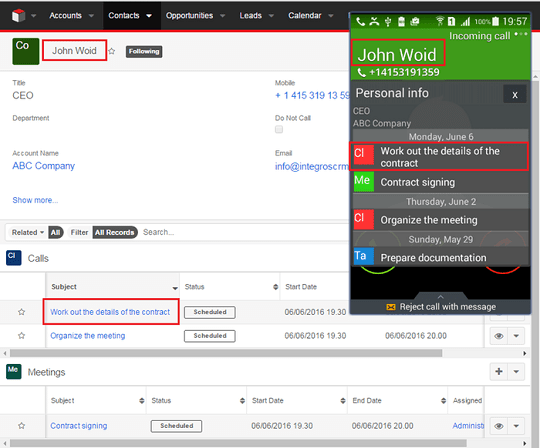 Want to keep always updated with contact-related activities in SugarCRM or receive timely notifications on-the-go? We’ve developed a perfect solution for you! We are glad to introduce SugarAide, a SugarCRM extension aimed at assisting sales reps and managers. 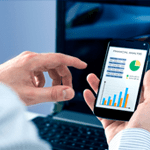 While using it, one will be able to have all valuable SugarCRM contacts in the phone. So, when a customer calls, all the relevant information concerning them will be displayed on the screen. Now your SugarCRM becomes closer. How can you benefit from SugarAide? While developing the extension, we’ve tried to figure out the most frequent issues and solve them so as to ensure both flawless operation of SugarAide and tangible advantages for you. Save your time. 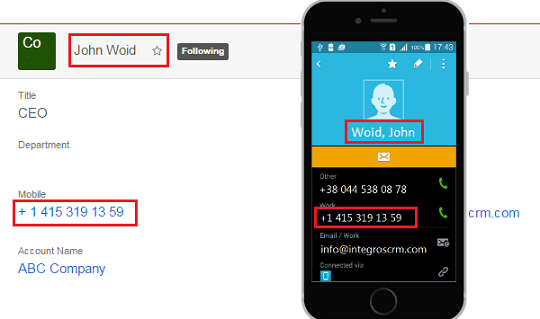 Instead of spending lots of time on adding SugarCRM contacts to your phone, use SugarAide to sync them automatically. Handy, huh? Simplify your work. SugarAide will provide you with relevant updates from clients. This way, you will definitely be able to take decisions more promptly and accurately. What’s more, by reviewing previous communication with customers, you will be more aware of their current needs and issues. Now, make the offer they can’t reject. See all the necessary information during inbound calls. When a contact calls, SugarAide will provides you with their company name, job title and extracts from the history of previous interactions. No more rummaging through a CRM system in search of these data. Filter the contacts you’d like to sync. With 3 types of built-in filters (Owner, Follow and Favorite) , it’s up to you to decide what contacts to have in your smartphone. We’ve already told a lot about the direct benefits of SugarAide to its end users. But this is not the be-all and end-all of the extension. Trust us, the solution will be useful for your company as a whole, as well. How? Below you may find just a few examples of SugarAide’s power. Improve your customer relationships. SugarAide enables catering to clients’ most daring needs with utmost accuracy, resulting in higher customer retention. Secure your data from leaking. With SugarAide you needn’t worry that your ex-employees may abuse your SugarCRM data. Simply delete all SugarCRM contacts from their devices in case they resign. One click and you are safe. Bolster competitive position. SugarAide keeps you in the loop on all significant contact-related information in SugarCRM, which will help to be more responsive to customers’ needs than your competitors. That’s what 24/7 really stands for. What are the benefits of syncing profitable contacts from Sugar with your smartphone’s address book? How to pull on your smartphone the most valuable contact-related activities from Sugar during incoming calls? How to get the most significant notifications from Sugar on your mobile, email or in Slack? How to keep the most important contacts close at hand? How to secure your CRM data from leaking when your employees quit the job?